Celebrate your wedding with a website echoing the tradition of Vera Wang's iconic Vera Lace pattern and flower motif, inspired by her bridal fashion. 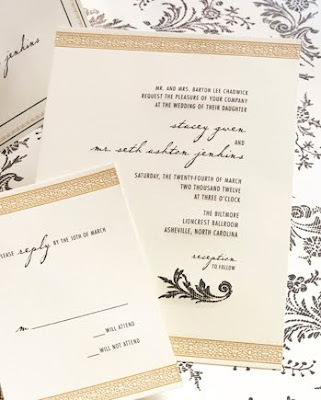 Our Vera Lace invitation features the exquisitely detailed lace pattern engraved in gold ink along the top and bottom borders, accented with the Vera Lace flower motif. 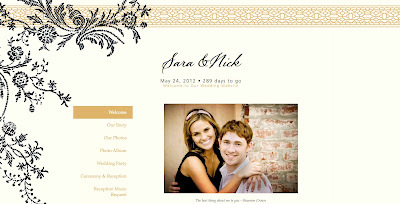 The Vera Lace design includes a full suite of wedding stationery, including matching reception and response cards, save the dates, and folded notes.